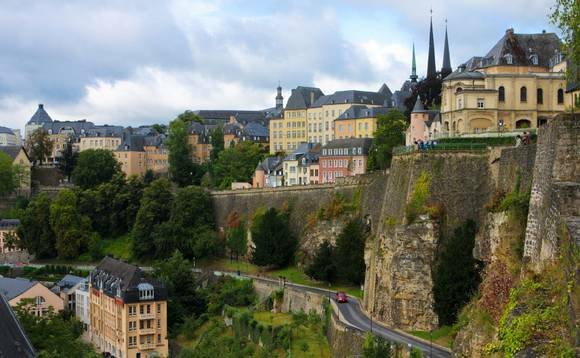 Last year, Luxembourg's regulators granted 80 new licences for banks, management companies, alternative asset managers, insurers and investment firms. This number includes several financial institutions to have publicly announced their decision to relocate some activities because of Brexit. An important factor in Luxembourg's ability to continue to attract new business is its long-term stability, underpinned by its consistent AAA credit rating. Nicolas Mackel, CEO of Luxembourg for Finance, said: "Luxembourg's proposition to the global financial sector is stronger than ever. We are known as a cross border focused centre and this status has only been underscored by Brexit. "Our offer is also constantly evolving to meet the future needs of finance, which means continuing to curate a modern, ambitious and outward looking financial centre, that provides clear development plans and practical support. The progress we have made over the last year in sustainable finance, digitalisation, and in deepening relationships with global brands and major economies like China is testament to that approach." Luxembourg's continued attractiveness as an EU hub for international financial institutions was highlighted by the arrival of Bank of Singapore and Banco Santander Brasil in 2018. Currently 136 banks from 28 countries rely on Luxembourg as their European or international centre for a variety of competencies, including corporate finance, wealth management, custody and other fund services. The country's status as a global location for funds was equally reinforced. As at 31 November 2018, Luxembourg's fund industry accounted for €4.19tn in assets under management, a year-on-year increase of 1.37%. With a market share in Europe of 35.9% for UCITS and 26.7% for UCITS and alternatives combined, according to figures by the European Fund and Asset Management Association (EFAMA), Luxembourg ranks as the continent's dominant fund centre. Looking ahead, Luxembourg's role as a global fund centre is set to continue growing, buoyed in part by the intention of 23 leading international asset managers and private equity firms to move or reinforce existing activities to Luxembourg after Brexit. These include Fidelity, M&G, Aberdeen Standard Life, Columbia Threadneedle, Blackstone, T. Rowe Price and Wells Fargo. 2018 saw particularly strong growth for Luxembourg's alternatives sector, with AUM in private equity funds increasing by 20%. According to a recent industry report, a majority of alternatives managers are reinforcing or planning to reinforce their presence in Luxembourg. While Luxembourg has long been a key EU hub for cross-border life insurance and reinsurance, the non-life sector has also been significantly bolstered by the arrival of 11 global insurers, including AIG, Liberty Mutual, Hiscox, Sompo and Tokyo Marine all choosing to set up their post-Brexit EU headquarters in Luxembourg. Most of these insurers have already started operating with their new licences, which contributed to growth in premium income in Luxembourg's non-life sector of more than 23% over the first nine months of 2018.